Welcome to the Department of Student Services Home Page. We hope that many of your questions can be answered below or by clicking on the tabs on the right side of your screen. The Department of Student Services is located on the second floor of the Grandview Heights High School at 1587 West Third Avenue, Columbus, Ohio. Director of Student Services Dr. Madeline Partlow and Carla Lane, Data and Student Services Coordinator, are available to answer your questions and can be reached by calling (614) 485-4031, by fax at (614) 481-4241, or via email at madeline.partlow@ghcsd.org and carla.lane@ghcsd.org. The Northwest Kiwanis Club will host its annual Special Needs Easter Egg Hunt on Saturday, April 20, at 1 p.m. at Wyman Woods Park. Bring a basket for this special non-competitive hunt for all egg hunters. There will also be face painting, too. Contact Kiwanian Mark Garland at 614-893-8766 with questions. Syntero Summer Groups - Registration Opens May 1, 2019, at 12 p.m.
Grandview Heights and Upper Arlington have a thriving Special Olympics program under the name Upper Arlington Special Olympics. For more information about the program and the sports offered, see the attachment at the bottom of this page. To follow on Facebook - Click here For more information, contact: ASCO | 272 PO Box, Worthington, OH 43085 | 614-284-6323| centralohioasa@gmail.com | or contact: Jeff Siegel MSW LISW, Aspirations Coordinator, Nisonger Center, The Ohio State University, 285A McCampbell Hall, Columbus Ohio 43210-1257, Phone 614- 685-3188 , 614.366.6373(fax), jeffrey.siegel@osumc.edu - Now recruiting for Adult and Teen Aspiration Groups "Aspire to greatness!" Prairie Oaks Metro Parks is offering free programming designed for families with children who have special needs including a Spring Nature Walk, fishing, archery, creeking, and an owl walk during the summer months and into the fall. Please see the attached flyers at the bottom of the page for more information and specific details. Beginning in the 2017-2018 school year, Mental Health Specialist Amber Nickels will be joining our staff three-days a week to support students and staff. She will be working with staff and students at all grade levels across the district as well as supporting special education students who require additional mental health support. Hello, my name is Tory Trimble and I am the Syntero School-Based Clinician for the district. Syntero is a mental health and substance use treatment agency with four locations in Central Ohio. Syntero’s School-Based Prevention Program is in several districts across Franklin, Delaware, and Morrow counties. A little personal background: I grew up in Hilliard and went to undergrad at the University of Pittsburgh, where I majored in Psychology and Sociology. I completed my graduate program at The Ohio State University in Clinical Mental Health Counseling and have always loved working with and being around kids, professionally and personally, so this position is a great fit for me! I have been with Syntero and at Edison Intermediate & Larson Middle School (EILMS) for the past two school years, and have loved being part of the Grandview Heights Schools community. I am looking forward to serving the entire district this year! Generally, I am at Grandview Heights High School on Mondays and Tuesdays, Stevenson Elementary on Wednesdays, and EILMS on Thursdays and Fridays. This changes on occasion due to specific school needs, but since I’m in the district five days per week, I’m never far. For individual and group referrals, the first line of contact at your building is your School Counselor. They will determine if the referred student is appropriate for prevention services or in need of a different support. Please let me know if you have any ideas or requests for classroom or school-wide prevention, and I will discuss with counselors/administrators to see if we can make it happen! Please let me know if you have any questions. I can be reached at this email (tory.trimble@ghcsd.org) or my Syntero email (ttrimble@syntero.org). I look forward to a great school year! The Grandview Heights Schools has created a K-12 comprehensive document that details the district's curriculum and exta-curricular efforts to address inclusivity and bullying in our schools. 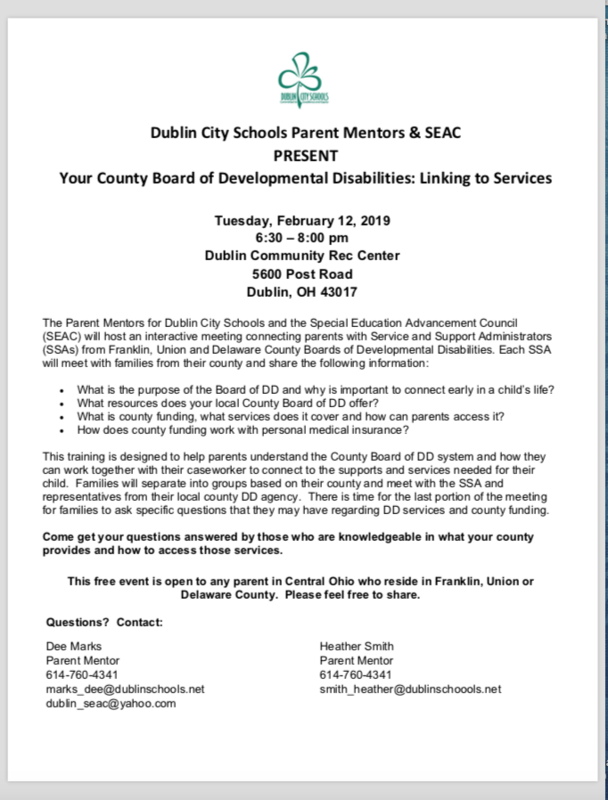 This document was authored by the district's school counselors Bryan Stork, Abby Mally, and Stephanie Doran; the Director of Student Services Jennifer Haddow; and our Syntero Counseling partners. A link to the document is at the end of this page. For ages 5 through 21 – Identification of one or more of the following conditions: autism, deaf-blindness, hearing impairment including deafness, mental retardation, multiple disabilities, orthopedic impairment, other health impairment, emotional disturbance specific learning disability, speech or language impairment, traumatic brain injury, and/or visual impairment including blindness. Dr. Madeline Partlow, Director of Student Services, serves as the district's Title IX Coordinator. The ELL Program supports students whose primary language is something other than English. School districts have the flexibility to decide on the educational approach that best meets the needs of their ELL students and leads to the timely acquisition of the level of English proficiency the students need to succeed in school. Our staff works with all elementary through high school students to improve and develop their English reading, writing, listening and speaking skills, as well as to help them adapt to their new environment. Our student population, though small, has grown each year suggesting a steady upward trend. We are dedicated to preparing these students to become independent and successful both in and out of the classroom. Grandview Heights Schools understands that there are gifted students whose intellectual capacity, rate of learning, and potential for creative contributions demand experiences apart from, but connected to the regular classroom. The gifted program model used in our district is one of resource consultation and collaboration. This model pulls together the school’s resources and expertise to serve students. Recognizing that gifted education is not a “program”, but rather incorporates an array of services that identify in-school and out-of-school activities, general education staff and gifted education specialists share responsibility for designing educational opportunities for gifted learners. This model enables us to serve the wide variety of gifted children in our schools and begins with differentiated instruction. The District understands that a differentiated curriculum is the best way to meet the day-to-day needs of the students. Flexible grouping and differentiated instruction provide developmentally appropriate curriculum for gifted children that give them opportunities to learn and grow at a challenging pace. School nursing is a specialized practice of professional nursing that advances the well-being, academic success, and life-long achievement of students. To that end, school nurses facilitate positive student responses to normal development; promote health and safety; intervene with actual and potential health problems; provide case management services; and actively collaborate with others to build student and family capacity for adaptation, self-management, self-advocacy, and learning. Special Education is a broad, formalized, and highly structured educational program. Federal and state law as well as federal, state, and local policies and procedures strictly govern the structure and delivery of all special education programs. These services are designed for those students who have a documented disability that has a significant and adverse effect on their ability to learn. Our district works to meet the individual needs of children with disabilities by offering a full continuum of placement options allowed by the Individuals with Disabilities Education Act (I.D.E.A.) and the Ohio Department of Education. Each building is prepared to offer small group instruction, resource room classes, co-teaching, out of district placements, and home instruction. The district special education staff, which includes intervention specialists, paraprofessionals, and related services’ providers, serves approximately 10 percent of our student population.